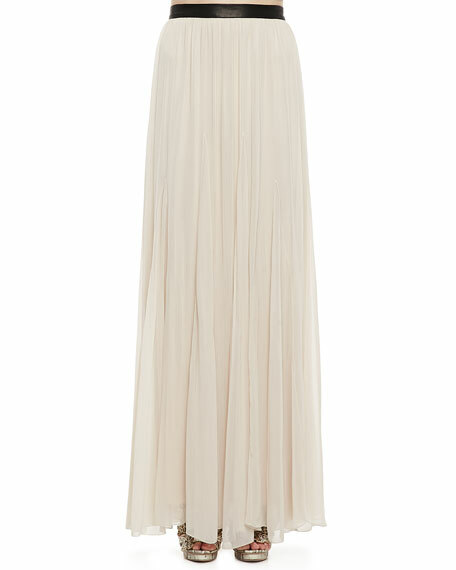 Pleated chiffon with tonal underlay. Contrast leather waistband has natural rise. Skirt falls straight from waist to floor.